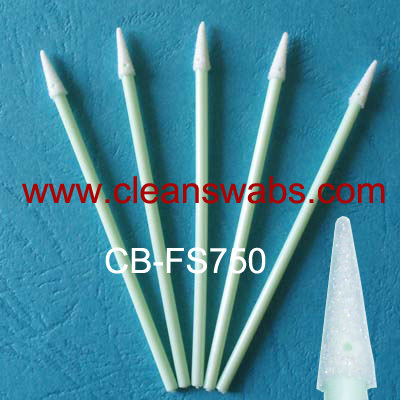 CB-FS750 Sharp Tip Foam Swab - ShenZhen CleanseBay Technology Co., Ltd.
Cleanbay's CB-FS750 clean foam swab for cleaning small slotted and grooved areas. 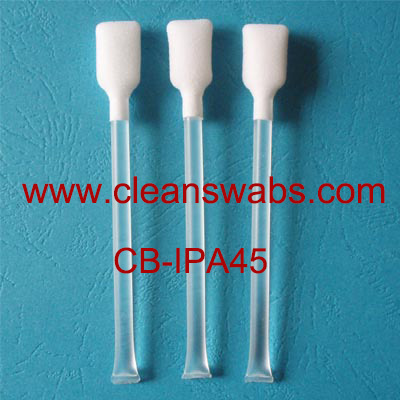 it is Good substitute for ITW Texwipe TX750B. 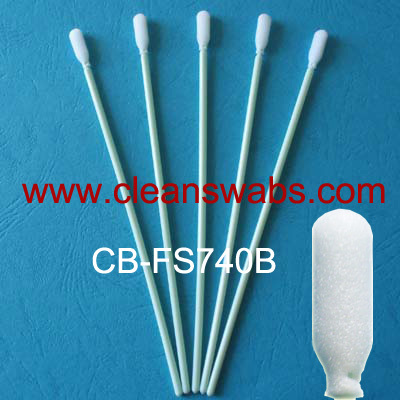 Cleansebay's CB-FS750 Cleanroom Foam Swab is an excellent dissipative swab for cleaning small slotted and grooved areas. 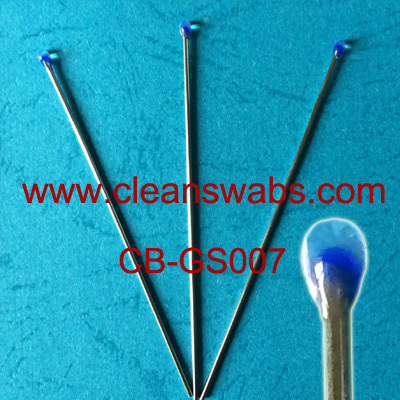 Its compressed, laundered clean foam head possesses good firm-ness and a pointed tip. A compact, rigid handle and tapered internal core provide good support. The handle is made from a polymer alloy using a patented Inherently Dissipative Polymer (IDP) to provide clean, permanent ESD protection without contributing particulate contaminates to the cleanroom.